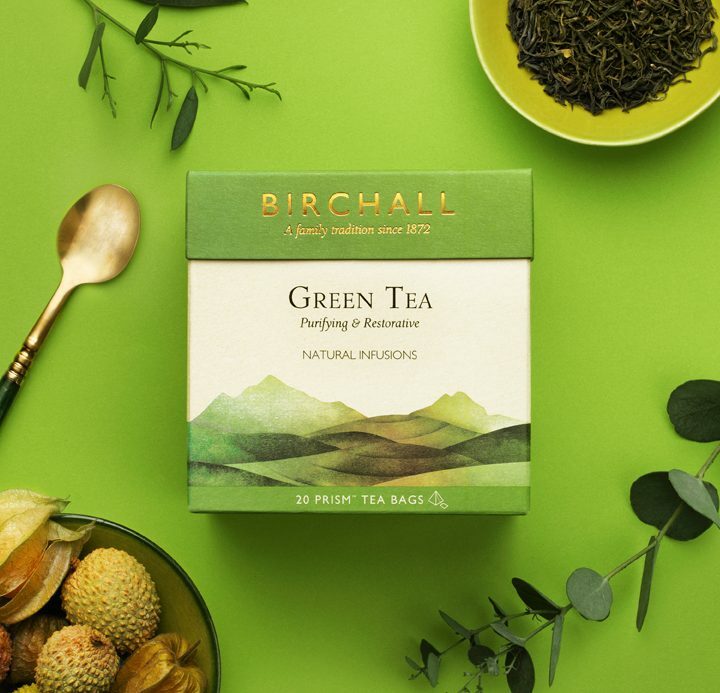 Our Green Tea is a pure green tea sourced from China where the very best teas of this variety are to be found. For centuries these teas have been revered across the Far East for their therapeutic properties. They are a rich, natural source of anti-oxidants, which are known to cleanse, detoxify and restore natural balance. Our expertly sourced a traditional Mao Feng for Birchall Green Tea. Its dark green leaves brighten when infused to produce a shimmering, clear, yellow colour with an initial smoothness, which evolves into the more complex, fragrant notes that characterise Mao Feng.